Although the summer period is nearly over, this doesn’t mean that you should not think about travelling. After all, there are many travel destinations where the climate is acceptable throughout the year. In case you are ready to take your first exclusive vacation and you are prepared to spend more money, we suggest traveling to some of these exclusive travel destinations. This is one of the most famous lakes in the world. Lake vacation usually means a lot of drinking, eating, loud music and attractive girls and guys, but Lake Como is something completely different. Many celebrities visit this place because they want to enjoy the beautiful coast of this lake surrounded with beautiful mountains that provide discretion. You will be amazed by the number of exclusive villas and hotels there. This exotic island located in the Caribbean Sea has long been considered to be a family island for the Biriths royal family. It was Princes Margaret who has built the first villa here, while Prince William together with Dutchess Kate rent a villa almost every year. This island has some amazing beaches and lagoons, but in order to stay there you will need to spend at least $3.000 per day. It is not unusual to find Hollywood superstars in the south part of France. They obviously know what is good. 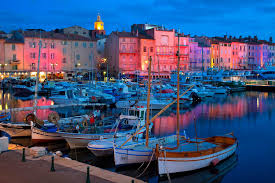 St. Tropez is a small place in France which is used as a base by people who want to explore the Mediterranean Sea with their luxurious yachts. The Maldives are the favorite place for relaxation for the rich and famous. These islands are located south of India and they are surrounded by the crustal clear waters of the Indian Ocean. They are very popular among honeymooners. Now this is a travel destination that can be used by people with different budgets. There is both inexpensive and luxurious accommodation in this Asian country and what you can expect from it is beautiful beaches, jungle tours and excellent shopping opportunities.